Recently, Some websites sharing fake circular of AICTE. That circular sharing mostly on all the social media sites like Facebook, Whatsapp and more sites. 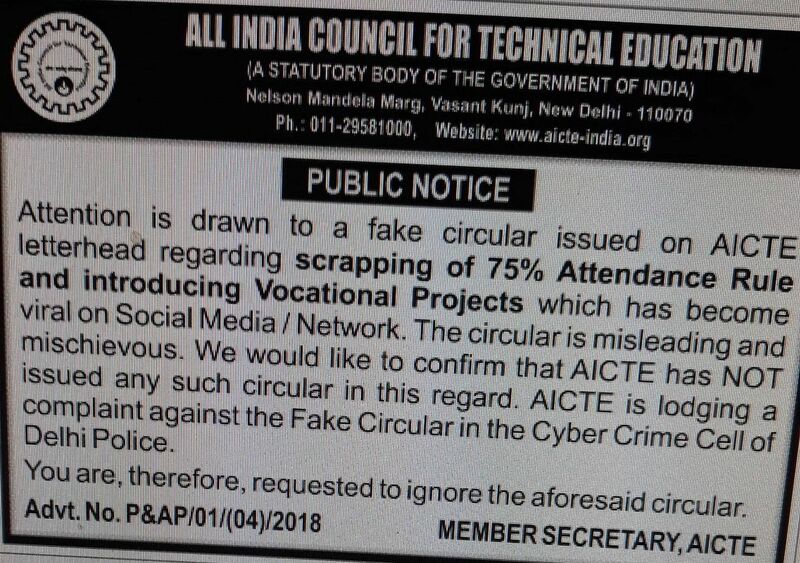 That fake circular sharing news like AICTE scrapping 75% attendance and added vocational projects. AICTE never published circular like this. But most of the websites sharing this news on here sites. 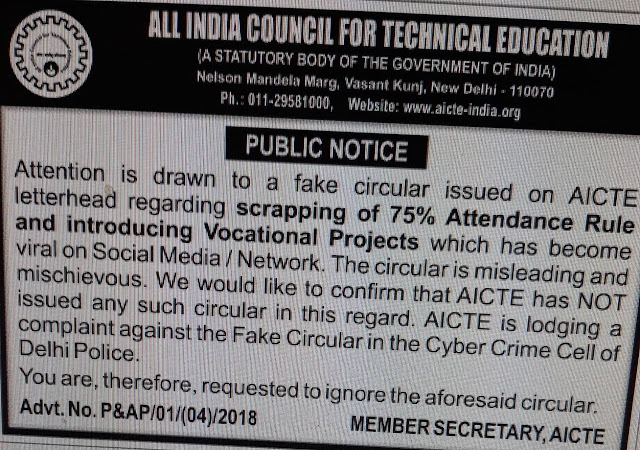 So, Today AICTE published notification regards fake circular. Check that official notification below.